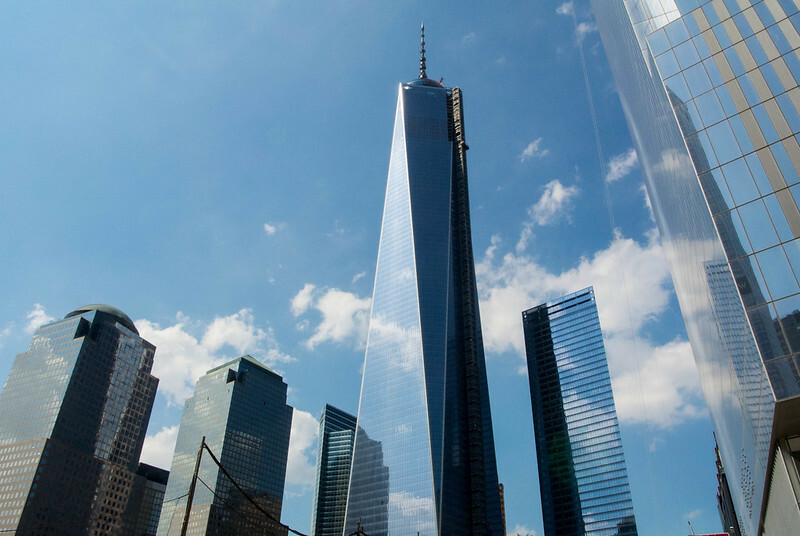 On Saturday, we were headed to check out the Freedom Tower at the World Trade Center when a crowd of people caught our eye. When we got closer, we realized it was a street show. There were 5-6 young black males with ripped out bodies who were very clever and entertaining when describing their show. My initial thoughts were, "Okay, this is going to be cool." Which is why I was slightly caught off guard but not put off when they requested that we pay in advance, explaining that normally for a show like this, they'd perform, and we'd all leave (understandable, I thought). So they came around with bags to collect money, and the three of us each got out a dollar to donate. As the performers circled the crowd, collecting money, they'd yell, "Stop the show! Someone just donated $10. A black guy!" "Stop the show! Another person just donated $10.... another black guy! If the black guys are donating $10, shouldn't the white guys be donating $20, $50?" Then they kept doing this thing with the last person to donate - "The last person to donate is from Australia... going once... going twice..." and did that three times until they pried money out of three more people. The three of us looked to each other, complaining that this had gone on way too long. Finally, it was time to start the show. They lined up three audience members front to back and had them spread their legs while one of the the performers wiggled through their legs on the ground. Then they spun those audience members around and had them bend over, and a different performer flipped over them. "That's our show!" WHAT THE HECK? What were the other guys there for? Just to help collect money? I thought it was going to be an awesome acrobatic show where they stunted each other! What a rip-off!!! So lesson learned: if you have to prepay for a street show, then it must really stink.